Kick off your visit on the 23rd (Sun): take in the spiritual surroundings of Koottamundu Glass Temple, take in the awesome beauty at Chembra, and then take in the dramatic scenery at Soochippara Falls (Sentinel Rock Waterfall). To find photos, maps, reviews, and tourist information, refer to the Kalpetta holiday planner . Mumbai to Kalpetta is an approximately 3.5-hour combination of flight and taxi. You can also drive; or do a combination of train and taxi. Expect a bit warmer evenings in Kalpetta when traveling from Mumbai in December, with lows around 26°C. Finish up your sightseeing early on the 23rd (Sun) so you can go by car to Alappuzha. Kick off your visit on the 24th (Mon): add some adventure to your tour with a kayaking and canoeing tour and then enjoy the sand and surf at Alappuzha Beach. Get ready for a full day of sightseeing on the 25th (Tue): kick back and relax at Marari Beach, then kick back and relax at Mararikulam Beach, and then stop by Pulickattil The Handicraft Shop. To find maps, more things to do, reviews, and tourist information, go to the Alappuzha holiday planning site . Traveling by car from Kalpetta to Alappuzha takes 5 hours. Alternatively, you can do a combination of taxi, flight, and bus; or do a combination of taxi and train. 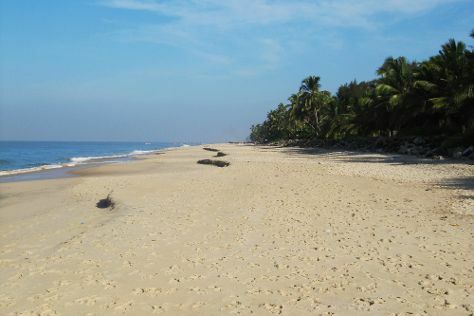 In December, daily temperatures in Alappuzha can reach 37°C, while at night they dip to 28°C. Wrap up your sightseeing on the 25th (Tue) early enough to drive to Munnar. Explore hidden gems such as Kalari Kshethra and Climbing Tours. Get outdoors at Lakkam Waterfalls and Rajamalai (Eravikulam) National Park. There's more to do: see the interesting displays at Tea Museum and soothe aching muscles at some of the top local wellness centers. For maps, ratings, reviews, and more tourist information, read our Munnar trip planner . Drive from Alappuzha to Munnar in 3 hours. 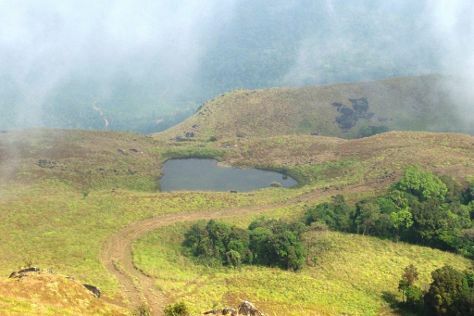 In December, daytime highs in Munnar are 38°C, while nighttime lows are 26°C. Finish up your sightseeing early on the 28th (Fri) so you can travel back home.